Senior guard, Steve Moran of the George Mason University Mens Basketball team defends against an unidentified player from the College of William and Mary. The game between the two members of the Colonial Athletic Association took place on January 9, 1991 in Patriot Center at Fairfax, Virginia. 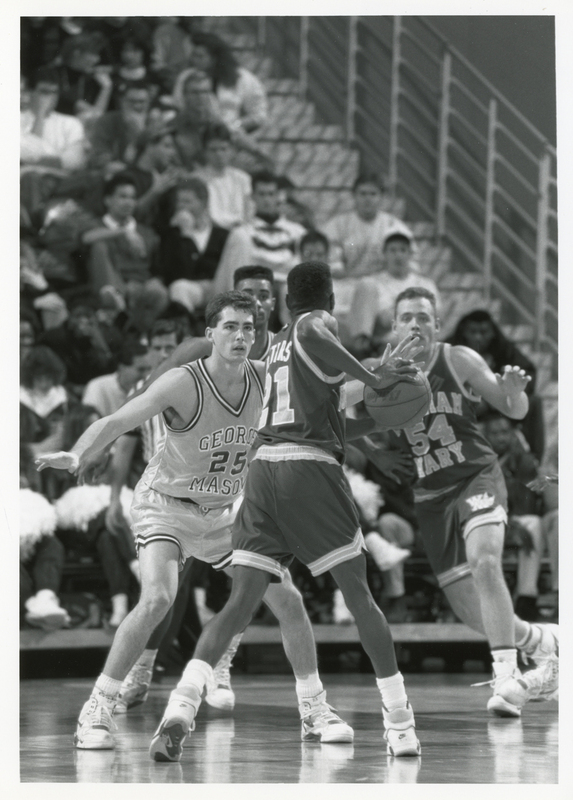 Citation: George Mason University Public Relations , “George Mason University player, Steve Moran in action against CAA opponents, January 9, 1991 ,” A History of George Mason University, accessed April 23, 2019, https://ahistoryofmason.gmu.edu/items/show/346.